Tired. Need simple. Something that just works. 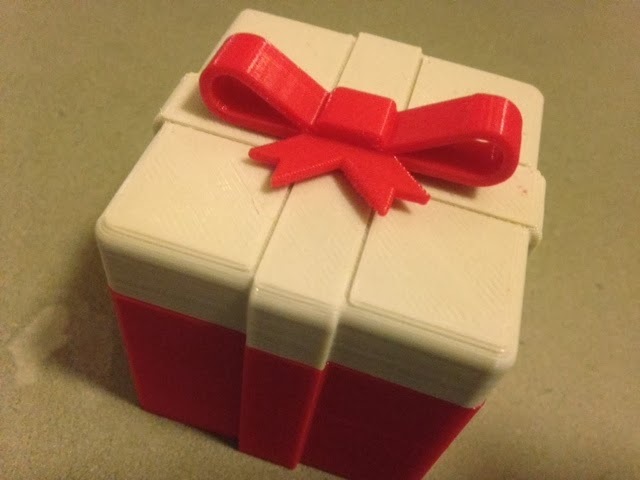 How about muddtt's Christmas Gift Box on Thingiverse? Settings: MakerWare .3mm/low with the base and the bow in one print and the top in another. Stuff to change: I really love siesauers' Make of this model where they printed everything in translucent filament and colored the bow and ribbon with Sharpie afterwards. It looks great to have the bow and ribbon the same color and all around the box. Next time!